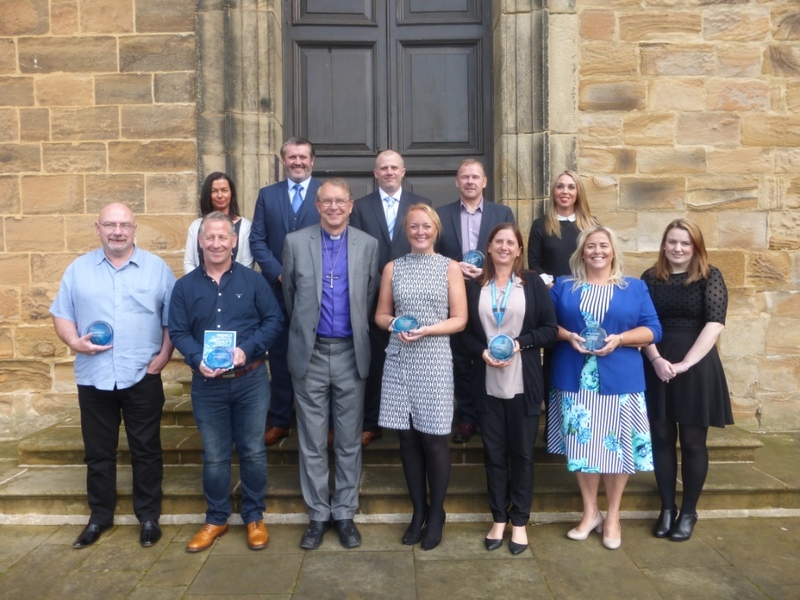 Professionals working with prisoners, ex-prisoners or those sentenced to community punishments have been presented with awards for their efforts to reduce reoffending by long standing north east charity Nepacs. This is the 13th year of the awards, which are presented by Nepacs to individuals, teams or organisations in the north east for helping prisoners or ex-offenders to resettle in the community and rebuild their lives. Mark Lowery - Checkpoint is a voluntary, multi-agency diversion scheme working with Durham Constabulary which offers low and medium level offenders an alternative to prosecution, addressing their behaviour and its underlying causes. Mark, seconded from National Probation Service, has worked as a Checkpoint Navigator for the last two years, during which time he has worked on over 100 cases, resulting in a very low re-offending rate by the individuals concerned. Donna Pearson - has been acting head of offender management at Low Newton for several months, in addition to her public protection duties there. Embracing the many recent changes at Low Newton, she has become a crucial member of the children and family pathway, giving significant support to child/parent and family days and implementing recommendations. Kirklevington Harrogate Garden Show Team - A collaboration of staff and men designed and constructed the ‘Garden of Reform’ for Harrogate Show, going on to win the Bronze Prize for a concept garden and Best in Show community award. A work-based horticultural course ran concurrently, and staff put in a huge amount of effort and a lot of their own time. The garden is to be rebuilt at James Cook Hospital, leading to a close partnership with the hospital, with men taking on community work there. Linda Cummings - works across HMPs Holme House, Kirklevington Grange, Deerbolt and Northumberland supporting mental health resettlement through the gate, providing a seamless connection with outside services. She has also established user forums to shape service delivery, and introduced a peer mentor scheme as well as other innovations including PAT (Pets as Therapy) within the prisons. John Traynor - has been a peer mentor with Durham Tees Valley CRC for the last three years. During this time he has used his own past experiences to engage with offenders to help turn round their own lives. He is a welcoming and encouraging presence at the community service hub, making it a place where participants feel safe and supported in discussing their issues, empowering them to make positive changes and some have become peer mentors themselves. Progression Team, Westgate Unit, HMP Frankland - The Westgate Unit is an assessment and treatment service for high risk men with personality disorder/psychopathy. The progression team, together with a working party of both staff and prisoners, have developed a rolling programme which is a new and creative way of engaging the prisoner in his own treatment pathway. Meeting weekly they have produced a draft document based on prisoners’ own inputs, to develop and facilitate assessment, treatment and monitoring during and after their time in the Westgate unit.